The situation in Venezuela is extremely tense and dramatic. On December 2, the big employers grouped in FEDECAMARAS and the bureaucracy of the CTV (Workers’ Confederation of Venezuela) launched their ‘general strike’ (in fact a lock-out organised by the employers and the trade union leaders) aimed at forcing Chávez either to bring forward the elections, or to call a referendum on whether or not he should continue in office, or, in the worst case, hoping that economic chaos will create the conditions for a new military coup. Nearly a month after the action began, in his New Year’s speech, Carlos Ortega – a union bureaucrat and the spokesman for the ‘Coordinadora Democrática’, in which the opposition forces are gathered – announced that “the strike continues until we get rid of Chávez”, and called for civil disobedience through not paying taxes. However, in the last days of the year, the government seems to have resumed the political initiative. A symptom of this is the recovery by the Navy and the police of several oil tankers belonging to the state oil company (PDVSA) anchored in various ports of the country and the import of foods to cope with the shortage caused by the employers’ boycott. In turn, the military General Staff has sworn loyalty to Chávez. But the crisis is still far from a solution. This is because the forces of reaction are striking at the heart of Venezuela, that is, the strategic oil industry. Senior and middle management and oil tanker captains from PDVSA are the brains behind this plan. According to several reports from the international press, the main refineries of Venezuela, like those of Paraguaná and El Palito, are paralysed. In Cabello and Maracaibo, the two main ports, tankers remained at anchor. An oil company manager on strike, Horacio Medina, stated that Venezuela’s oil production has fallen by 70%, about 1.9 million barrels a day, as a consequence of the strike. In turn, the managers of the gas extraction district of Anaco, about 300 kilometres to the east of Caracas, which generates 75% of the country’s gas, agreed to reduce production to the minimum level. According to government officials, the losses are up to 1,300 million dollars and the country faced with huge fines because of its non-fulfilment of international oil export commitments. The forces of counterrevolution knew how to hit where it really hurts because Venezuela is the fifth largest exporter of oil in the world and 80% of its revenues come from oil sales, and currently foreign sales are still paralysed. 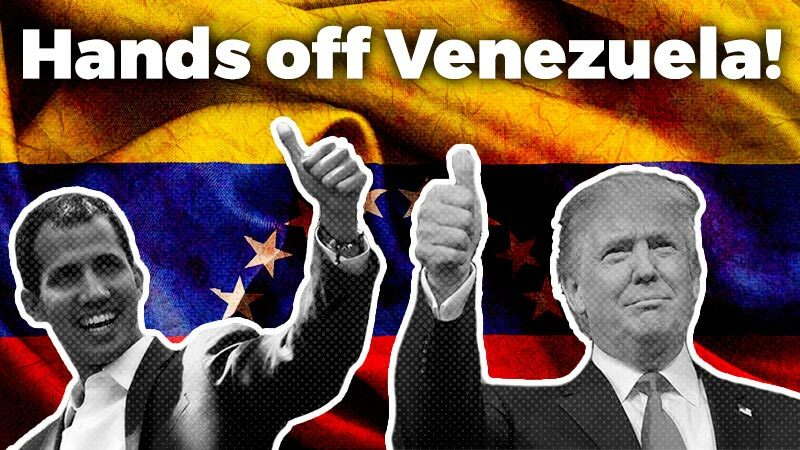 These dramatic days are part of the opposition’s offensive to establish an overtly pro-imperialist regime in order to re-colonise Venezuela and turn it into a base for reaction in South America. This follows the rise of governments like those of Lula in Brazil and Gutiérrez in Ecuador, which show the retreat of the neo-liberal right wing. After the defeat of the pro-imperialist coup by the General Staff and Carmona in April 2002, there have been continual attempts by the opposition to displace Chávez by means of ‘institutional’ procedures or by a coup. For that reason they have utilised all available resources: furious media campaigns, production stoppages, lockouts, terrorist actions, the export of capital and even a failed attempt at assassination. It was clear that US imperialism backed the April coup attempt, or at least gave a green light to Carmona and sectors of the army, because of the way that the US immediately recognised Carmona as President, as did Bush’s lackey in Europe, José María Aznar. Chávez’s closeness to Cuba, a series of diplomatic squabbles, and his condemnation of the ‘war on terrorism’ provoked anger and condemnation by the US State Department. The people’s response to Carmona’s coup attempt and the split in the Armed Forces raised the spectre of civil war. For that reason, American imperialism has opted for a more cautious policy towards Chávez, although during the recent political crisis, in declarations which were later denied, officials of the US State Department supported the opposition. The US is concerned since Venezuela is one of its major oil suppliers. That’s why it seeks to get rid of Chávez, although not by means of a coup. It’s clear that the Bush government, in its preparations for war against Iraq, would very much appreciate a friendly government in Caracas. In order to calm the situation, representatives of the Carter Foundation and of the UN, and César Gaviria, the president of the OAS (Organisation of American States) – that is, the ‘Ministry of Colonies’ – arrived in Venezuela. Gaviria’s aim is to negotiate an ‘constitutional’ solution to the crisis, trying to bring together moderate elements from both the Chávez and the anti-Chávez camps in a kind of government of national unity, or to arrange a timetable for the dignified departure of the former parachutist colonel. Of course these options imply either the complete capitulation of Chávez or his overthrow sometime in the future. For that reason it is necessary to reject the mediation by Gaviria and the OAS. On the other hand, the opposition, despite agreeing to the ousting of Chávez, seems to have failed to reach an agreement on how to do it. It has split into ‘moderate’ and ‘radical’ groups. The Coordinadora Democrática is a heterogeneous front with neither a clear programme nor common methods. It embraces, among others, the representatives of the big bourgeoisie of FEDECAMARAS, the union bureaucracy of the CTV, and the church hierarchy. It is also supported by the Maoist group Bandera Roja. As a product of the crisis of the traditional parties that collapsed with the old regime, the opposition still lacks credible figures to staff a unified leadership. One of the causes of the divisions is that neither the employers nor sectors of the middle class are happy with the alliance with the leadership of the CTV. Although the main spokesman, of the Coordinadora Democrática is the leader of the CTV, Carlos Ortega, its main support comes from the middle class, ‘public school boys’ from the better-off quarters of Caracas, and a layer of workers and employees who are either better-paid or under the control of the trade union bureaucracy. They also have the support of the privately owned mass media, which have launched a furious campaign against the Chávez regime calling for a coup. Once reinstated in the presidency, Chávez kept calling on the defeated, weakened and confused opposition to engage in peace and national reconciliation. Venezuelan and Latin American workers must draw a lesson from these evens – that there is no possibility to reconcile the interests of the workers and poor people with those of the capitalist oligarchy and imperialism. The permanent conspiracy of the ruling class can only be answered by a sharp policy, with workers taking advantage of the tactical retreat of the rulers, beating them decisively at the heart of their economic, political and military power. The April coup – whose programme was a declaration of war against workers and the poor – was crushed by the spontaneous uprising of working and popular masses of Caracas and other towns. It was thanks to this that Chávez was able to hold on to power in those dramatic days because the armed forces had split and one section had supported the coup. On April 13th a mass upsurge took place – of a basically spontaneous character – which was probably the largest mass action since the 1989 Caracazo, and brought about a favourable change in the balance of forces. The country was deeply socially and politically fractured into two openly confrontational camps. The opposition had emerged weakened and divided. Part of its cadre in the army had been displaced. There were cases of fraternisation between the troops, low ranking officers and the mobilised population. 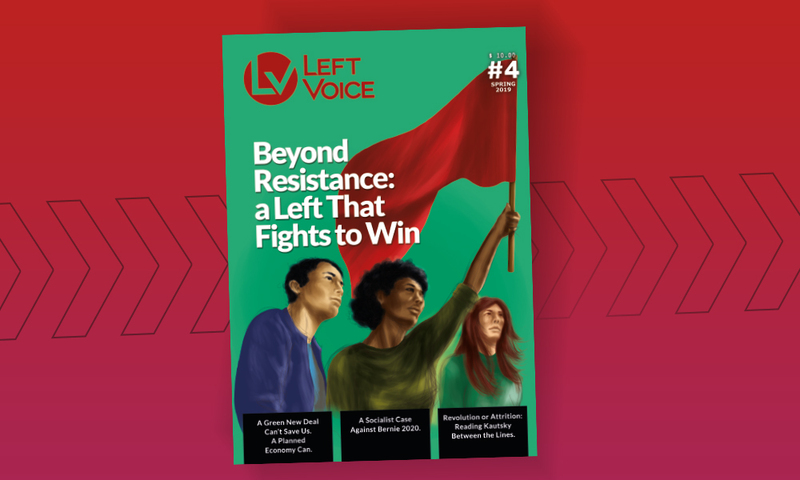 Among the masses a widespread sensation of victory was felt, and popular organisations – Bolivarian Circles, land committees, fighting trade unions and popular assemblies – developed very quickly. However, this favourable situation was let slip, and exactly eight months later it was the opposition which went on to the offensive. The current situation is largely the responsibility of Chávez himself and his calls for peace and moderation after the popular victory of April 13. The hesitations, indecisions and inconsistencies in facing the plotters are due to the bourgeois character of his regime. At the beginning of his term Chávez – who could count on the support of the Armed Forces and the masses, and was assisted by a rise in oil prices – attempted to play the role of arbiter between different social classes and imperialism and to rebuild the ruined political regime, while guaranteeing social peace. But today this project is bankrupt. With the setting-up of the Fifth Republic, based on the Bolivarian Constitution, Chávez declared that he would bring back stability to a Venezuela in which the old bourgeois regime – that of the ‘Punto Fijo’ agreement – based on the traditional parties (AD and COPEI) was decomposing. As the possibilities of a ‘Saudi Venezuela’ created by a flood of oil revenues receded, leading to the threat of new Caracazos like the one that had rocked the country in 1989, a regime change was indispensable. Chávez presented himself as an arbiter capable of ‘reconciling the nation’, appealing to the poor masses with anti-neoliberal rhetoric in order to prevent them from following an independent course that might threaten the bourgeois order. The characteristics of the Chávez regime bear some relation to sui generis bonapartism, a kind of regime that Leon Trotsky defined, and which occurred in the 1930s and in the post second world war period in semi-colonial countries. Such governments, based on the army and the state apparatus, attempt to ‘rise’ above the social classes to arbitrate between the social interests in conflict, giving concessions to the mass movement in order to have more room for manoeuvre with imperialism. These governments, although they may quarrel with imperialism, end up surrendering and being incapable of dealing with internal reaction, due to their bourgeois character. Thus, ‘Chavism’ stands for ’empty hands populism’, that may swing leftwards or rightwards, as Chávez has shown in these last few years, but, due to its class character, is incapable of breaking with imperialism and satisfying the elementary demands of the masses of both town and country. It also confirms that the fight for national demands in a semi-colony cannot be left in the hands of the bourgeoisie. The irrefutable proof of these is in the experiences of the masses under Perón in 1955 and Allende in 1973. Today, the foundations on which his project stood are in a complete crisis. The National Armed Force and the police are divided. Although the General Staff, for the time being, is faithful to the president, it is certain that the differences are eating away at the institution. This is demonstrated by the constant disobeying of orders by middle and high ranking officers who are demanding the resignation of the president and who mutinied in the Plaza Altamira in Caracas – this being one of the high point of the opposition’s agitation. Recently the government intervened in the Metropolitan Police of Caracas because they were loyal to an opposition mayor, an event which triggered the ‘civic strike’. The political structure established by Chávez in order to take office is not doing any better. Within his cabinet there are notorious differences between the ‘neoliberal’ and the nationalist wings. The founder of the MVR, and one of Chávez’s main political operators, Miquelena, shifted to the opposition a few days before the April coup plot. Chávez’s allies from the MAS and the PPT have been in a deep crisis before, during and after the April conspiracy. As a consequence, in spite of having parliamentary majority, his MPs are divided into an official and a moderate group. In both sectors there are strong suspicions of corruption, something that the regime has used to its advantage. Likewise, despite having replaced the civil service bureaucracy, the old practice of favouritism has not disappeared. The reforms in the regime introduced by Chávez have allowed the bourgeoisie to breathe freely. This is demonstrated by the fact that the courts have released the leaders of the April plot from prison, and today are enabling the opposition to carry out a referendum. To sum up, the institutions of the state and the regime, like the Armed Forces, parliament, and the judiciary – all of which are attempting to constrain any audacious step by Chávez’ – are not just in crisis but also are under the control of agents of the pro-imperialist bourgeoisie. In the economic arena he hasn’t done any better either. In the beginning Chávez sought to energise Venezuelan capitalism, protecting ‘productive capital’, extending credit lines to small and middle producers, and incorporating foreign capital into ‘national development’, as shown by his insistence on attracting investment into the oil industry and other areas. Those measures, far from benefiting workers, put the full weight of the crisis on their backs, as shown by the devaluation of the Bolívar in February 2002 which increased the cost of living and cut public spending by 20%. Meanwhile the bourgeoisie has been exporting thousands of millions of dollars a year, the external debt is being paid on time, no progressive taxes of the rich have been introduced, and the foreign oil companies are make huge profits. No ‘national development’ is feasible in this way, let alone the transformation of the old conditions of bourgeois exploitation and imperialist looting, because the measures do not affect the basis of bourgeois property or the country’s subordination to foreign capital. Thus, 80% of Venezuelans are still below the poverty line; 60% only just survive in the ‘informal economy’; and official unemployment has risen to 20%. The employers go on sacking people and imposing labour flexibility, while inflation undermines wages. Meanwhile, the considerable oil revenues continue to benefit the biggest capitalists and the foreign investors. The reason that the middle class joined the opposition is rooted in the economic crisis and not merely in ideological questions. During the boom years, the Venezuelan middle class grew and developed on the back of the oil revenues, but now is poverty-stricken. This middle class, made up of liberal professionals, young managers working in the multinationals, students, the owners of small companies, is deeply conservative and culturally and politically backward. Since Chavism did not challenge the economic interests of the bourgeoisie and imperialism, it could not satisfy any of the economic aspirations of the middle classes that through these years have seen their living standards decline steeply due to the export of capital, inflation and the liquidation of their savings. Neither was the middle class seduced by favouritism and corruption, which is still common under the new regime. The constant imperialist propaganda of the privately owned mass media and the pressure of the bourgeois politicians drew them to the plotters’ camp, where they were used as a hysterical battering ram of reaction. In addition, those sections of the middle class which have cultural and social connections with the army also played a role in drawing the majority of the middle class to the side of the plotters. However, the regime still relies on the support of broad layers of the poorest workers. Although they have been given very little by Chávez – minimal agrarian reform and salary increases which have been absorbed by inflation – according to some media reports over 30% of them still support the president. That’s because the ascent of Chavism enabled the poor masses of the countryside and the town to participate in national political life. This phenomenon was boosted by the active role that the masses played during the defeat of the April coup. From then on the most exploited working masses, the poor and the excluded from the city have been undergoing a clearly political upsurge: confronting the plotters and defending what they regard as their conquests. They achieved a great political victory, at the cost of dozens dead and hundreds wounded, experiencing a leap in their experience and politicisation. This is demonstrated by the fact that, in the heat of the April days, popular assemblies sprang up in the poor quarters as neighbourhood committees and fighting unions, and that the so-called Bolivarian Circles became the axis for the organisation of many mobilisations. Day by day the situation in Venezuela is more tense. In spite of the government’s efforts the equilibrium cannot last very long, especially when the oil industry has been taken hostage by the forces of reaction. It appears that the opposition leaders’ call for civil disobedience and the refusal to pay taxes is a symptom of the weakening of the ‘civic strike’ and a sign that it could be called off. If this happens, Chávez could get closer to the employers and imperialism, although this wouldn’t rule out the opposition returning to the fray at some future point, because the US and the bourgeoisie don’t consider Chávez to be ‘their’ man. But if the crisis deepens and serious measures are not taken against the plotters, other possibilities may occur. One way out might be that some sections of the army, faced with the danger of social break down and civil war, displace Chávez as a preventive measure, for the sake of ‘national unity’, and gradually return power to the oligarchy. This scenario would be tragic for the masses, because it would install a regime aimed at recolonising the country, as a battering ram for reaction in the whole continent, as well as unleashing revenge attacks against the popular classes that dared to challenge the rulers over the last few years. Another variant is that Chávez, undermined by economic chaos, gives up the presidency in the name of ‘avoiding bloodshed between brothers’ and joins the pact with the moderates proposed by the OAS in order to make the transition to a new government. Yet another possibility is a bloodbath headed by a civic-military junta, which would establish a semi-fascist dictatorship using civil war methods against the popular classes. However, after the April experience and because of the lack of suitable leaders in the ranks of the opposition, this is an unlikely scenario. Any one of these variants would be against the most elementary interests of the popular masses, and could occur if the masses do not act decisively to smash subversion. Once again it is necessary to reflect on the historical experience of Allende and Perón in order to show the limits of bourgeois nationalism and the capitulations inherent in their politics. How to confront the plotters? Chávez has said that he will reinstate order with the help of the Armed Forces and will ensure the continuation of production, but initially he had to pull back from his attempt to seize the ‘Pilín León’ oil tanker, which was blocking the port of Maracaibo, because the judiciary ruled that the navy was not qualified to sail such a ship. Neither the ‘loyal’ Armed Forces nor the bourgeois institutions can be trusted! A consistent fight against counterrevolution is necessary: that is, the broad mobilisation of the workers and the poor people in defence of what they regard as their conquests and against the employer-imperialist plot that seeks to recolonise the country. For such a goal to be achieved it is necessary to fight for the expropriation of the plotters of FEDECAMARAS, of all employers’ and landowners’ organisations, who own the main levers of the economy, as well as driving imperialism out of the country. Key points in this programme are: the genuine nationalisation of the whole hydrocarbons industry – production, refinement and distribution – as the first step towards workers’ management and displacing the managerial class that profits from the oil revenues; the non-payment of the foreign debt and the abandoning of all agreements that subordinate Venezuela to imperialism; the nationalisation under workers’ and people’s control of all companies that close down; and of the big media which are tools for counterrevolutionary agitators. In order to win over the poor masses of the countryside to this programme it is necessary to encourage the occupation of the big landowners’ estates as a step on the road to true agrarian reform. In order to counter shortages, the black market and speculation it is necessary that the popular sectors control the distribution of food and basic goods currently held in the warehouses of the monopolists, middlemen and big merchants. The plotters, both civilian and military, should rot in jail. In order to deal with provocations, terrorist acts and sabotage by the oligarchs, the development and the centralisation of workers’ and people’s armed self-defence committees is necessary. Neither the General Staff nor the middle-ranking officers can be trusted, because of their numerous links with the bourgeoisie and the reactionary sections of the middle class. The rank and file soldiers and non-commissioned officers must be entitled to disobey the orders of opposition-supporting officers and to denounce any attempt at conspiracy. Only the revolutionary pressure of the workers and the people in arms will convince the best elements in the rank and file of the army to come out against reaction and neutralise those who are undecided. Chávez’s threats ‘against oligarchy and fascism’ are of no value. Neither are mass rallies if concrete slogans and precise goals are lacking – they are mere vacillations that do nothing but encourage the union bureaucracy and the big bourgeoisie. The reactionary bosses and imperialists know where to strike. The masses that restored Chávez to office in April know very well who their enemies are and have already demonstrated their heroism and self-sacrifice in the struggle to put an end to counterrevolution.